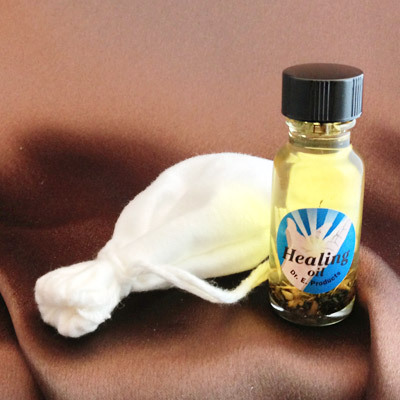 Attraction is a traditional hoodoo recipe for oils, herb baths, powders, candles and mojo bags designed to draw love, money, friends, favors or luck. Dr. E.'s Attraction products gain their power from herbs and minerals traditionally used to draw love and money, including lodestone, cinnamon and orange. Attraction is related to other "drawing" hoodoo formulas like Money Draw, True Love and Success and Eloquence. Like all of Dr. E. Products, Attraction products are made with genuine herbs, minerals and essential oils of the highest quality. 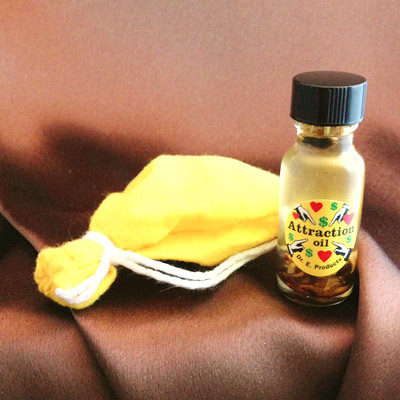 Attraction Oil is a versatile tool used to draw money, love, luck, friends or favors into your life. Dress yellow candles with Attraction Oil and burn them in a candle holder set on top of a photo of someone you like. This will cause them to be attracted to you. Dab a bit of Attraction Oil inside your wallet to draw money into your pocket. Annoint the four corners and center of your business' door in order to attract more customers to your business. Attraction Herb Bath can be used to bathe your body or to wash the floors of your home to attract money, love, luck, friends or favors. 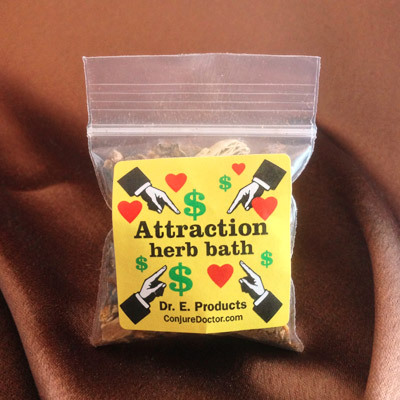 Start by taking your packet of Attraction Herb Bath and pouring it in a coffee cup. Pour boiling water over the herbs and allow them to sit for about ten minutes so that they can release their essences into the water. After ten minutes, strain the herbs out and save the liquid. You can dispose of the herbs either in the trash, or you can sprinkle them in your garden around the front door of your house. Pour your cup of full-strength Attraction Herb Bath infusion into a large washtub or bowl full of bath-temperature water. It is now properly diluted and ready to use. Take your bowl of Attraction Herb Bath into the bathroom. Place two small white candles on either side of the bathtub or shower so that you cross between them as you enter and exit the tub. Plug up the tub so that you can capture the bathwater that runs off of your body (or if you are using a shower, place a bowl in the shower and stand over it to catch some of the water that flows off of you when you will bathe. Light the two white candles, disrobe and enter the shower or tub with your washtub or bowl full of diluted Attraction Herb Bath. Traditionally, hoodoo practitioners will pray the Our Father and Psalm 23, or you may pray in your own words to draw in love, money, luck, friends, or favors. Then pour the bath on your body working your way upward from your feet up to your head. Remember to get your back side, hands and feet. (Ladies who have recently had their hair done and don't want to mess up their hairdos can simply bathe up to the neck, then moisten their hands with the bath and lightly wet their faces and/or hair.) Set your bowl aside and begin to wipe the excess bath off of your body with your hands (always wiping upwards to "draw in" the good things you desire). Note that some of the water that you used was caught in the tub or in the small bowl you set at your feet. It doesn't have to be all of it, just some. Exit the bath, walking between your white candles and air dry. Do not use a towel. If you are cold stand in front of a heater. Continue to wipe your body with your hands, always wiping upward until you are dry. 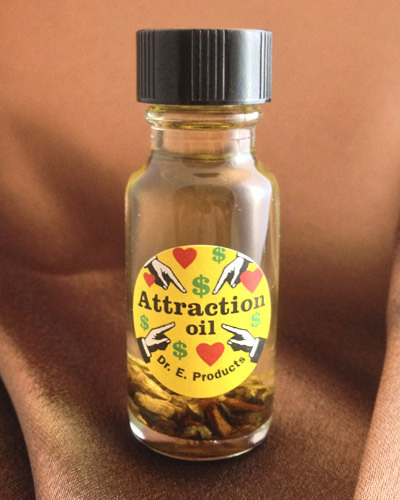 At this point you can anoint your body with some Attraction Oil by dabbing a bit on your wrists, behind each ear, over your heart and on the bottom of each foot. Dress in clean clothing - preferably light in color (not black). Now take the original coffee cup you used and scoop up some of the captured used bath water. You don't have to get all of it, just some of it. Take this outside. Toss the water over your left shoulder toward the east; toward the rising sun (your back will be to the sun if you're doing this right) and say "AMEN!" Then walk home and don't look back at the water you tossed. You can now go about your day knowing that you are covered with Attraction Herb Bath, and it is working to draw love, money, luck, friends and favors to you. 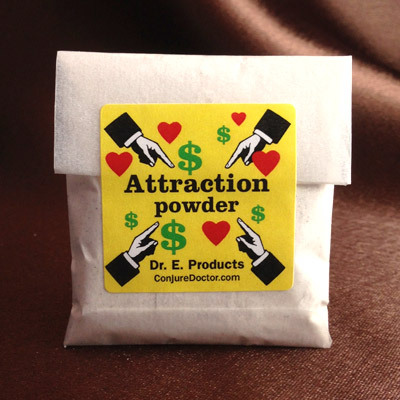 Attraction Sachet Powder is a great way to attract money, love, luck, friends or favors without being detected. Sprinkle business cards with Attraction Sachet Powder to make yourself appealing to potential clients or business contacts. Sprinkle some Attraction Sachet Powder on your money before spending it out in the world so that it will return to you and attract more money with it. Roll yellow candles in Attraction Sachet Powder and burn them in your home to draw friends and good company into your home. Our Attraction Mojo Bag is the perfect charm to carry to attract money, love, luck, friends or favors into your life. Carry an Attraction Mojo Bag when working to draw tips, or to make yourself appealing to customers. Wear an Attraction Mojo Bag when going out on a date to capture the attention of your mate. Attraction Mojo Bag is also perfect in social circles to draw more quality friends into your life. Don't forget to check out the instructional page on How to Use Mojo Bags. Attraction Setting of Lights can be used to attract money, love, luck, friends or favors in specific instances. We will dress, bless and light an Attraction Candle on our altars along with your specific petition and photograph. 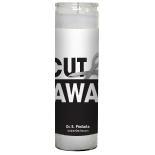 When your candle has finished burning we will send you a candle burn report via e-mail with details about how your candle burned and a brief interpretation of any signs the candle showed. 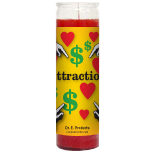 Attraction Setting of Lights is perfect for drawing more friends into your life, attracting the love interest of a specific person, drawing more clients or customers to your business, or to bring more money into your life.